Another photo from the beginning days of this blog. This is part of a series where bring forward a photo or two from an earlier blog that have rarely been seen by most of my viewers (there were so few of you at the beginning). 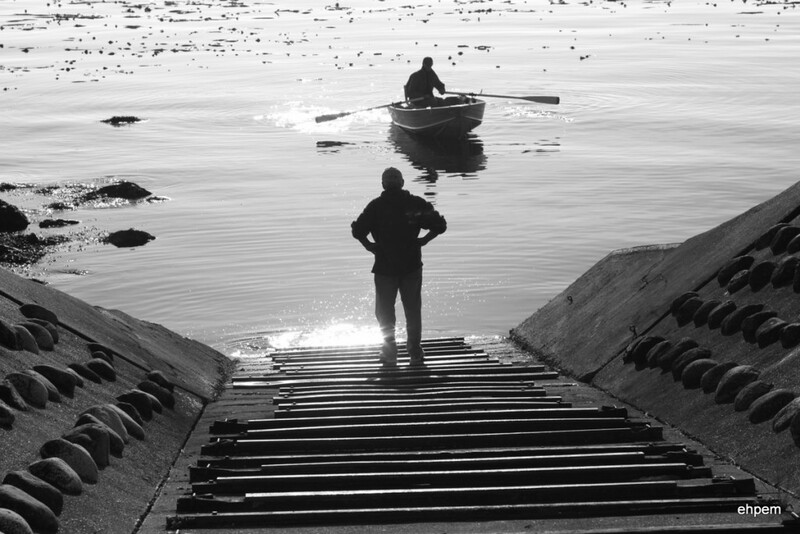 This was in one of my first posts in Sept 2011 called Fisherman Launching Boat, Clover Point. Canon 5Dii, (and probably 50/1.4 ), set in monochrome mode if I recall correctly, and shot as a jpeg, so no going back on the mono. I like the posture of the boat launcher! And the reflections on the water are eye catching. I like that stance too, and the light on the water and the strips of metal for skidding the boats on.